The Canon TS-E 90mm f/2.8 L Macro Lens is a new specialist lens from Canon, launched at the same time as two other TS-E Macro lenses, a 50mm and a 135mm. 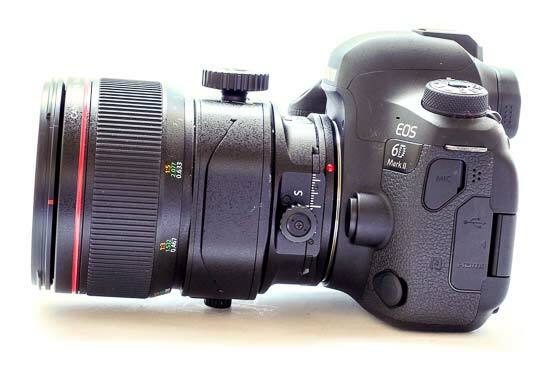 It is a replacement for the older 90mm f/2.8 TS-E lens, which was neither macro, nor “L”. 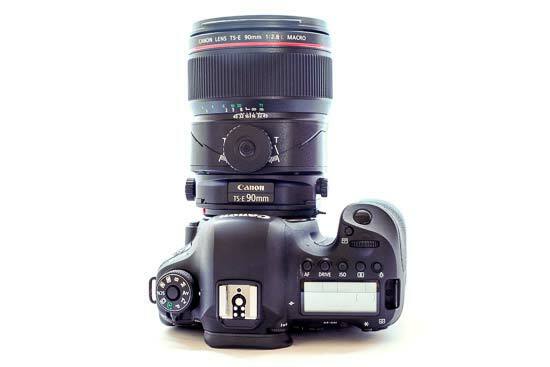 This lens, with its focal length of 90mm, is aimed squarely at portrait and product photographers. It has macro capability of 1:2 maximum magnification. 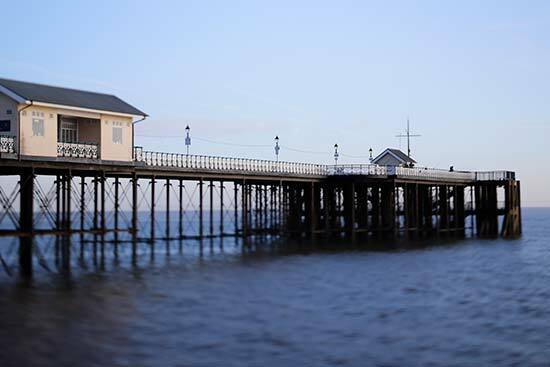 Tilt shift lenses give you direct control over perspective and depth of field, achieved by moving different mechanisms on the lens - without the need for Photoshop or image editing trickery. Constructed from 11 elements in 9 groups, there are 9 diaphragm blades. 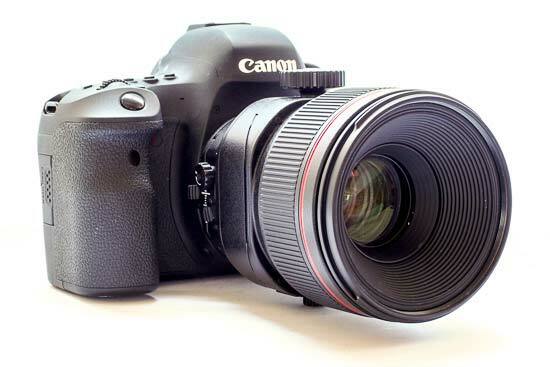 The maximum aperture available is f/2.8, rising to a minimum aperture of f/45. 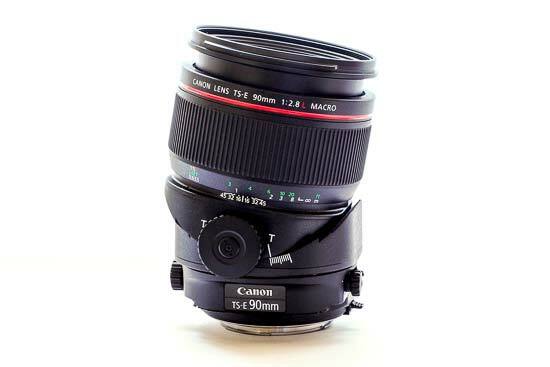 Tilt-shift lenses are generally much more expensive than equivalent standard primes, and in this case that makes the retail price of the Canon TS-E 90mm f/2.8 L Macro Lens around £2,500. 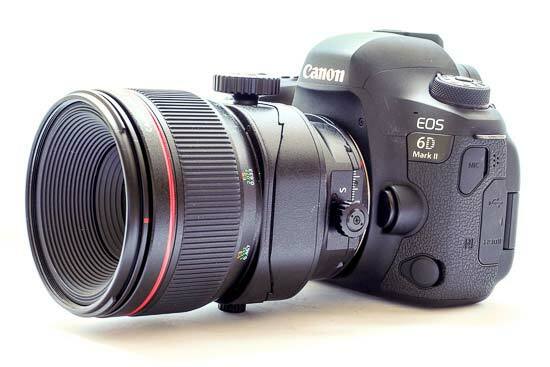 Tilt shift lenses use a much larger imaging circle than standard lenses, and as such tend to be much heavier, bulkier and larger than ordinary lenses. 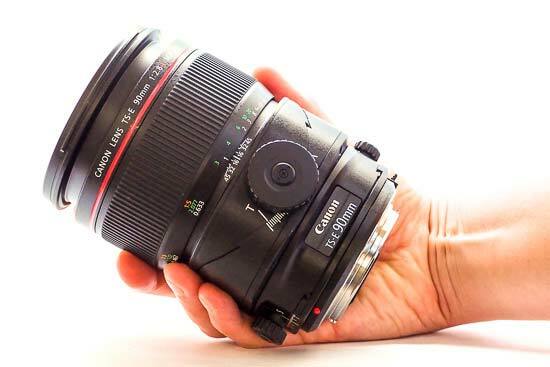 One of the other things you’ll notice about the lens is the red ring around the front of it, which denotes that it is part of Canon’s professional “L” range. Just behind this is a large focusing ring, which has a ridged texture to help you get a good grip on it. It has a good amount of give, and has hard stops at each end to help you know when you’ve set the lens to its maximum focus. The lens ring is also marked with focusing distance markers, as well as magnification ratio markers. Behind the focusing ring is the tilting mechanism. This consists of a large dial which you can use to tilt the lens - you can move it all the way in either direction, or in smaller increments. There’s a smaller, dial for loosening up the main dial, with a locking switch next to it to lock the tilt in place. Next is the shift mechanism. The dial which controls this is much smaller than the tilt dial, making it a little more difficult to get a good grip on it. Still, there’s a decent amount of resistance, which you can control using the lock dial on the opposite side of the lens - instead of a switch this time, you just need to tighten the dial to lock the shift in place. 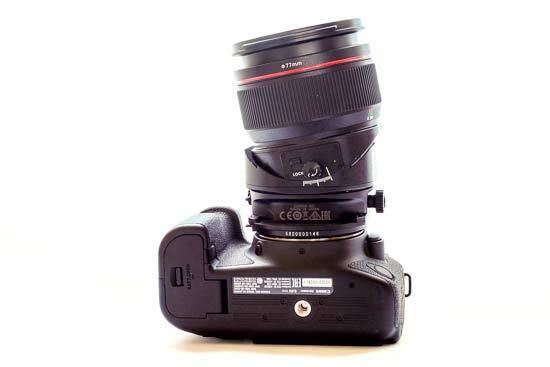 At the very back of the lens is a switch which you need to hold down if you want to rotate the lens. There are 7 rotate positions available, 3 to the left, 3 to the right, and the centre (standard) position. It can be a little awkward to reach the rotate lever, as the camera’s grip gets in the way. 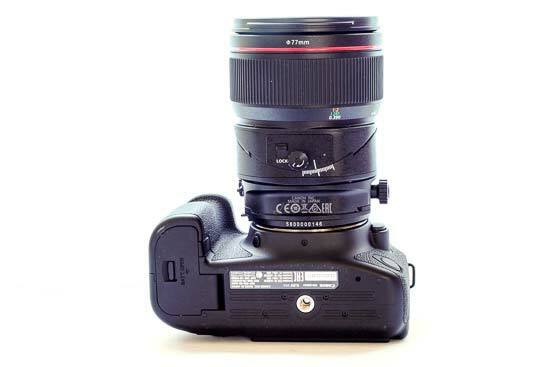 If you don’t apply any of the mechanisms, you can use the Canon TS-E 90mm f/2.8 L Macro Lens as a standard prime lens - although you won’t benefit from autofocus. This lens is a little long to be used as an architectural lens, but it’s still possible to use it in some wide open spaces. You can also use it to create the “toy town” effect, but such a gimmicky effect is likely to be a limited use of such an expensive, specialist lens. 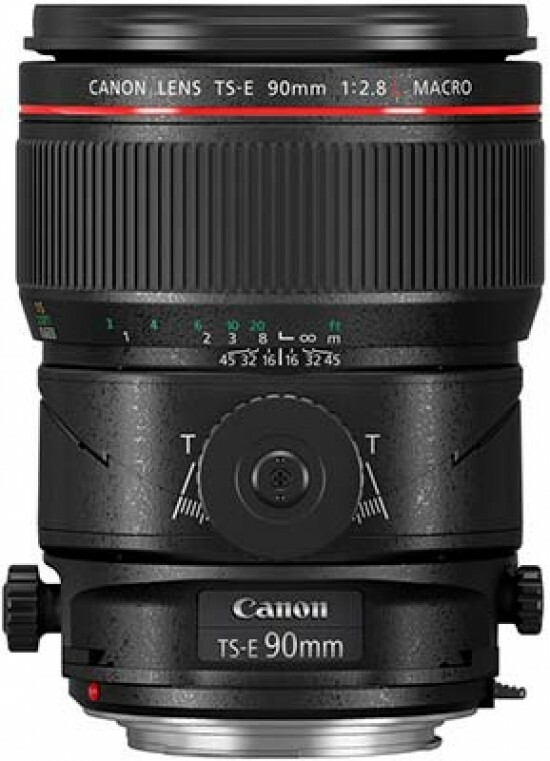 Like all tilt shift lenses, the Canon TS-E 90mm f/2.8 L Macro Lens is manual focus only. If you’re using it for product photography with a tripod, it’s recommended that you switch to using Live View to enable you to more precisely focus. 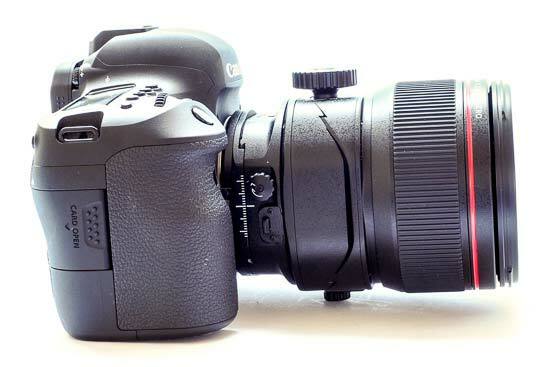 Where this lens is really well suited is to product and food photography, as well as portrait photography. 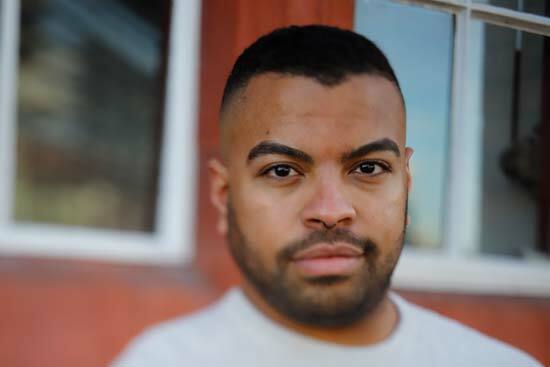 You can use it to tightly control depth of field, for example, you could have both eyes in focus, while throwing out the background in a portrait. 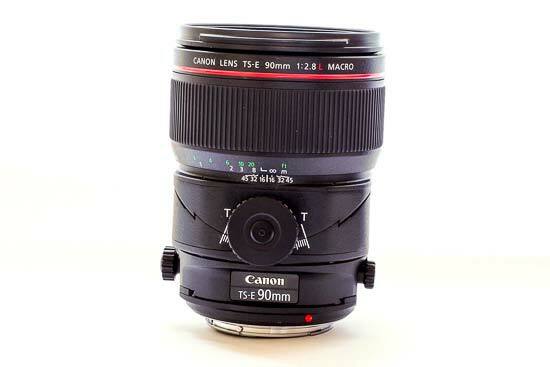 The Canon TS-E 90mm f/2.8 L Macro Lens has 90mm focal length. 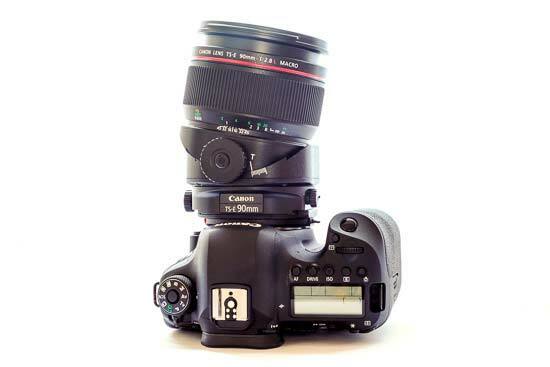 It is primarily designed for use with full-frame cameras, but if you were to mount it to an APS-C camera, then the equivalent focal length would be 144mm. The angle of view (35mm) is 27 degrees. 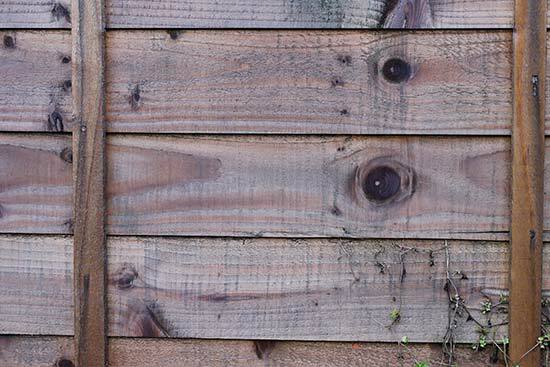 Chromatic aberration is typically characterised by purple or blue fringing along high-contrast edges in a scene. This is a lens which has been designed with the highest possible optical standards, and as such chromatic aberration doesn’t seem to be obviously present in any shots. You may find some examples of it if you look extremely closely at very high contrast shots, but I have not found any which have a negative impact on the overall image quality.  When shooting wide-open (f/2.8) and pointing the lens at a white wall, there is some degree of vignetting which can be easily seen. This is less likely to be problematic when shooting ordinary scenes, and is much less by the time you reach f/4. When shooting subjects straight on, distortion is kept to a minimum - something which we’d expect from a focal length of this kind. You can engage the shift mechanism to prevent distortion when shooting buildings and the like - but it is a lens which is reasonably unlikely to be favoured by architectural photographers. 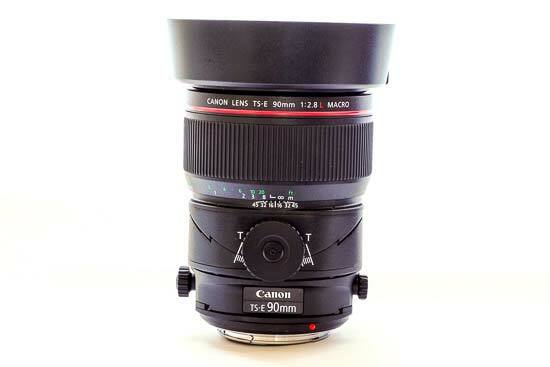 The Canon TS-E 90mm f/2.8 L Macro Lens is a designated macro lens, with a close focusing distance of 0.39 metres, and a maximum magnification ratio of 1:2. 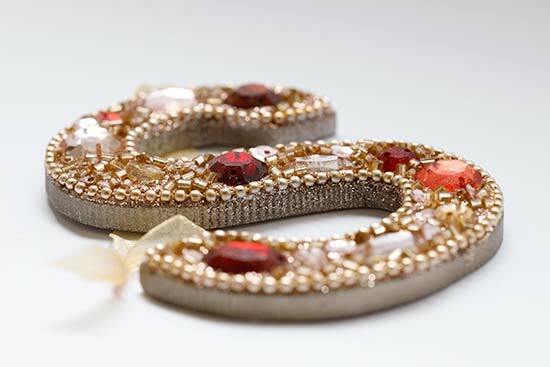 It is ideal for shooting traditional macro type photographs, such as food, products and flowers. 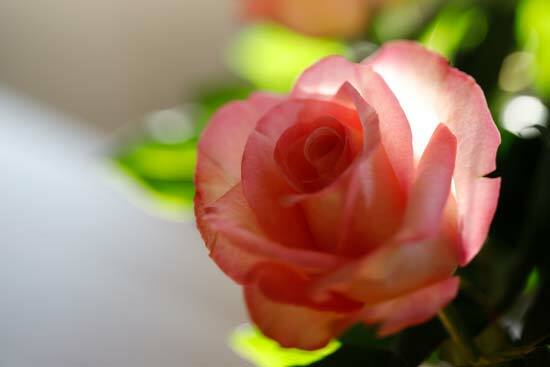 As the Canon TS-E 90mm f/2.8 L Macro Lens has a maximum aperture of f/2.8, it is capable of producing some attractive shallow depth of field effects. 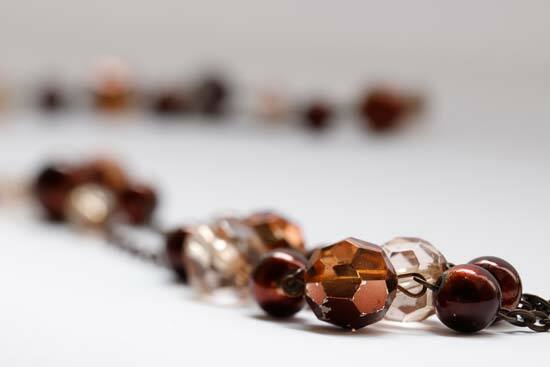 Bokeh is generally described in qualitative terms, such as smooth or creamy. 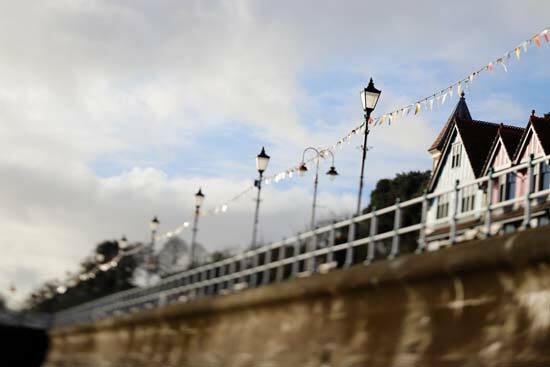 The out of focus areas produced by the Canon TS-E 90mm f/2.8 L Macro Lens are rounded, smooth and generally very pleasing, but, recognising that this opinion can be subjective, we have included some samples for you to judge for yourself.